The rooms provided by the Indraprastha Royal Castle Sharing have been decorated and designed very beautifully. The hotel is located in the Thanneermukkam locality in Alappuzha. The rooms have been painted in neutral hues and the use of a lot of wooden elements. 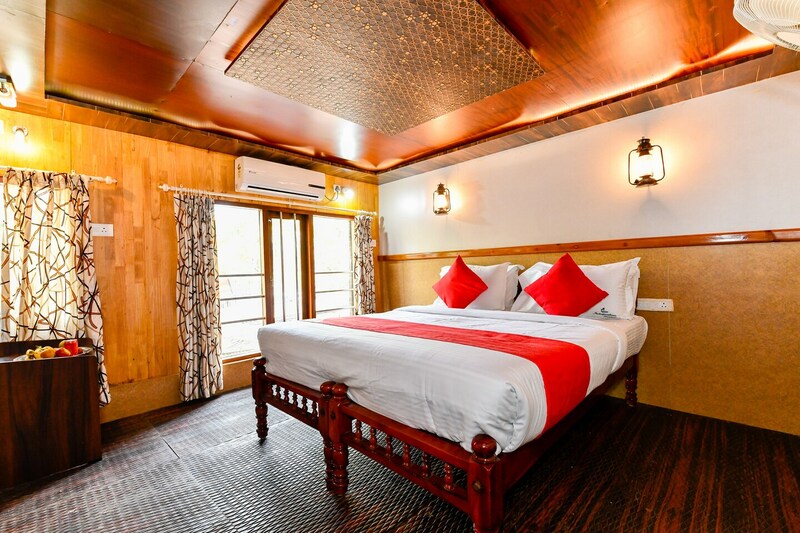 The rooms have been provided with a well-lit false ceiling as well. All the rooms have been provided with large windows which let the guests enjoy some amazing views, fresh air and a lot of sunlight. The curtains used to cover the windows have a lot of intricate patterns. The hotel also provides some extra facilities like a common kitchen, a common dining area, and a constant power backup source. The interior of the complete property is decorated and designed very well. Certain spaces have been provided with plush couches as well. The hotel is surrounded by a number of utilities such as Ambika Market, Thanneermukkom Precious Blood Church, and Illam Stadium.